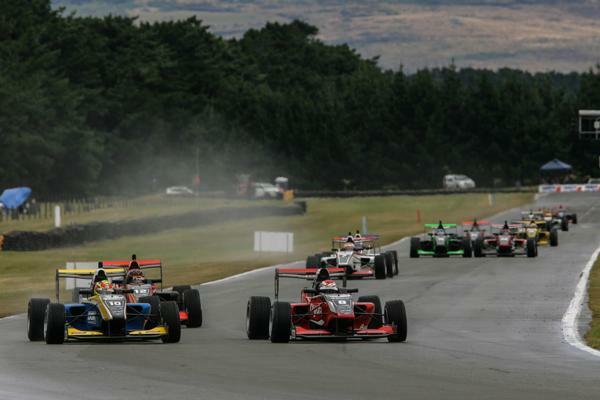 Christchurch teen Marcus Armstrong is looking forward to the more ‘European’ style of the 2.63 km Hampton Downs circuit as the 2019 Castrol Toyota Racing Series arrives at its 'home' circuit, Hampton Downs, the mid-point of the championship. Traditionally, this northern Waikato circuit with its fast flowing corners, blind first turn and 10 metre rise and fall is an unofficial pointer to who will take the title. This year, Armstrong and Pukekohe youngster Liam Lawson are tied on 113 points each, with third-placed Raoul Hyman a distant third on 79 points. Last year Armstrong recorded a full set of podiums here, finishing second, third and second. In this year's championshiup, Armstrong has been similarly consistent, scoring three podiums including a win out of the four races held so far. The championship would usually be six races old by now, but wet and windy weather at Teretonga (Invercargill) last weekend forced the postponement of the final two southern races. This means one race - originally race two at Invercargill - will be held this weekend at HGampton Downs, while the remaining race outstanding will become part of racing at the Taupo round the following weekend. All four races held to date have been won by New Zealand drivers and all three Kiwis are in the top five of the championship, which is a rare situation. No races have been won from pole so far. In wet and wild going, Christchurch driver Marcus Armstrong found the perfect response to the early speed of Pukekohe driver Liam Lawson and won the first race at round two of the championship (Teretonga) last weekend. Lawson was on pole but at the start failed to get the grip he sought, letting Armstrong shoot into a three car lead. Lawson attacked again and again but Armstrong covered the young Pukekohe driver’s challenges again and again, forcing him to try the wide line in order to find overtaking opportunities. Even after a safety car period closed up the field Armstrong remained calm and in control. On the penultimate lap Lawson dropped a wheel on the grass and lost contact with Armstrong, who made no mistake of the run to the chequered flag.